Plagued with frayed, split ends that demand regular trims to keep at bay? Stop all that cutting and instead, temporarily bind the frayed and separated ends of your hair back together, making them look freshly cut, instantly! 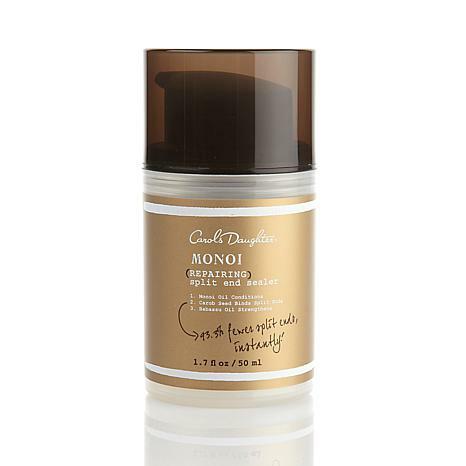 You'll love how the Monoi Split End Sealer helps restore your tresses to a flawless look from roots to tips. Ingredients: Water (Aqua), Cyclopentasiloxane, Propanediol, Polyquaternium-28, Phenyl Trimethicone, Sodium Polyacrylate,Glycerin, Behenalkonium Chloride, C12-15 Alkyl Benzoate, Butylene Glycol, PPG-3 Benzyl Ether Myristate, Jojoba Esters, Hydrogenated Polydecene, Fragrance (Parfum), Caprylic/Capric Triglyceride, Panthenol, PVM/MA Copolymer, Dimethiconol, Cetrimonium Chloride, Butyrospermum Parkii (Shea) Butter, Hydrolyzed Keratin, Keratin, Hydrolyzed Hibiscus Esculentus Extract, Cocos Nucifera (Coconut) Oil, Trideceth-6, Hydrolyzed Vegetable Protein PG-Propyl Silanetriol, Litchi Chinensis Pericarp Extract, Moringa Pterygosperma Seed Oil, Orbignya Oleifera Seed Oil, Phyllostachis Bambusoides Juice, Quaternium-95, Octocrylene, Hydrolyzed Ceratonia Siliqua Seed Extract, Zea Mays (Corn) Starch, Butyl Methoxydibenzoylmethane, Cynara Scolymus ( Artichoke) Leaf Extract, Inulin Lauryl Carbamate, Gardenia Tahitensis Flower Extract, Leuconostoc/Radish Root Ferment Filtrate, Behentrimonium Chloride, Sucrose Laurate, Guar Hydroxypropyltrimonium Chloride, Polyquaternium-7, Disodium EDTA, Aminomethyl Propanol, BHT, Phenoxyethanol, Benzyl Alcohol, Potassium Sorbate, Chlorphenesin, Alpha-Isomethyl Ionone, Benzyl Benzoate, Benzyl Salicylate, Eugenol, Geraniol, Hydroxycitronellal, Linalool. I have been using this sealer for quite some time. I love it. Use it, you will love it too. It does work on your ends, it seems like my head is full of split ends since I natural, but when i used this product on my hair it did tame the spit ends. I am extremely satisfied with this product. 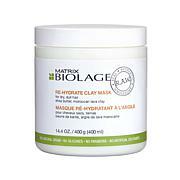 I routinely purchase hair products from the salon and have not found anything that worked as well for my split ends. After one use, my ends were smooth and silky even after two days. I am so happy with this purchase. Ok, so I love all things MONOI. 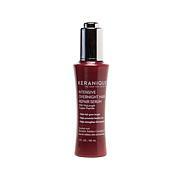 The scent is so great, this split ends sealer is marvelous and I am so happy that you do not have to use a lot. Keep the healthy hair products coming. GO MONOI!!! I do have a requset for a Monoi Natural Hair Curl Pudding for us Natural Girls, Please.